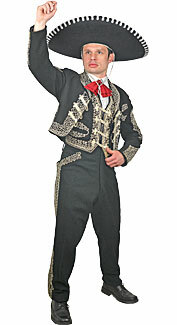 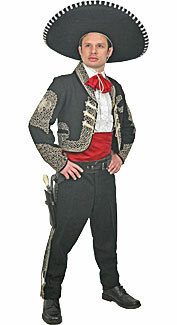 A black Traje de Greca suit with a decorative sombrero. 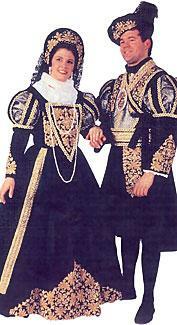 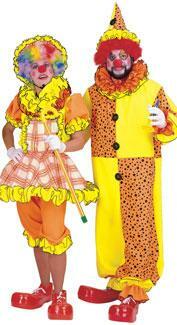 High quality velvet Renaissance-style matching man and woman costumes. 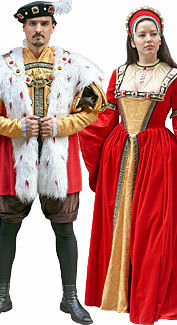 Tudor-style red and gold matching King and Queen costumes. 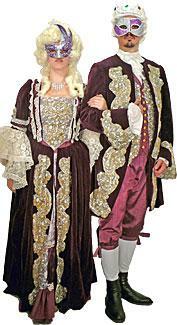 Deluxe 18th Century-style costumes with purple velvet and sequin-decorated outfits. 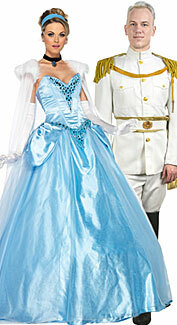 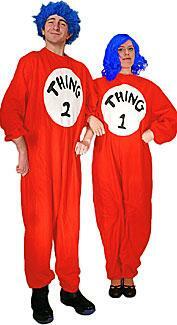 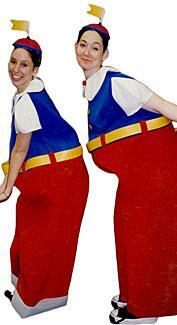 Classic Cinderella and Prince Charming costumes. 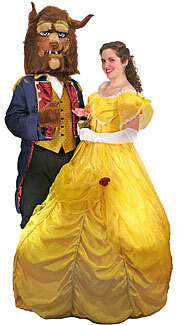 A fairytale couple with an creature mascot and a storybook princess. 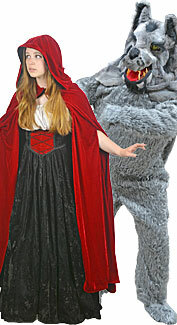 A bright red velvet hooded cape and a full wolf costume. 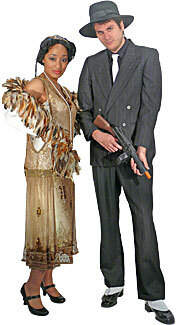 A 1920's-style couple with an Art Deco gown and a gangster. 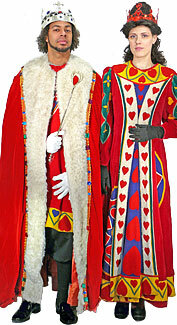 A royal couple modeled after the King and Queen of Hearts. 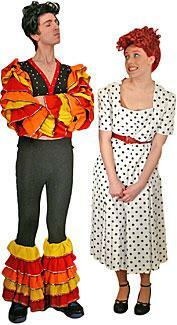 A classic Lucille Ball dress and Ricky Ricardo outfit. 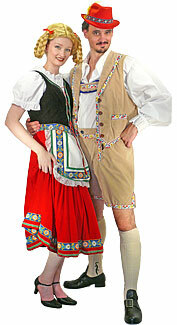 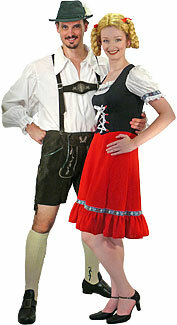 A Bavarian couple with lederhosen and a dirndl. 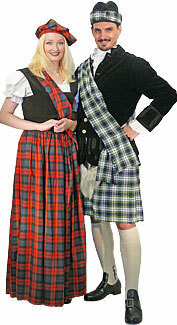 A traditional Scottish Highlands couple. 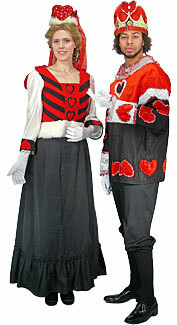 An all-black masked bandit and a red and black Señorita. 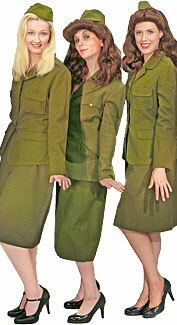 A trio of olive drab wool military uniforms. 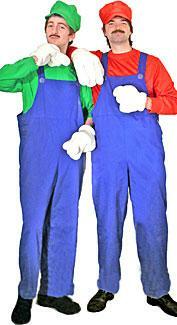 Blue full-length coveralls with a red or green shirt and cap. 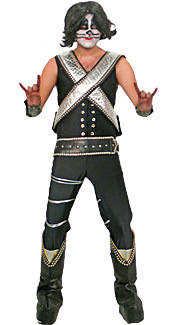 An officially licensed costume from the KISS Rock the Nation tour. 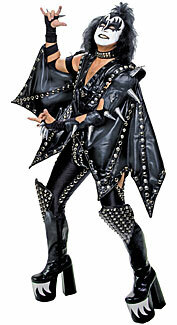 The Demon! 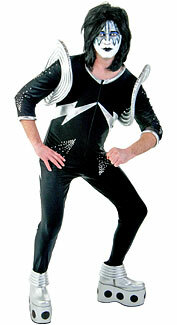 A black and silver jumpsuit with accessories. 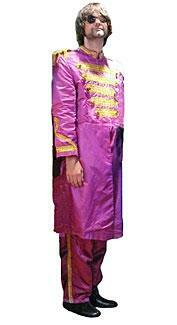 The Spaceman! 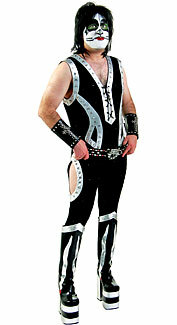 A spandex jumpsuit with accessories. 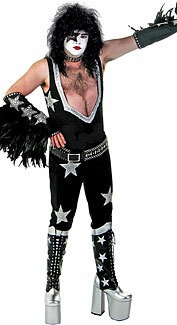 The Starchild! 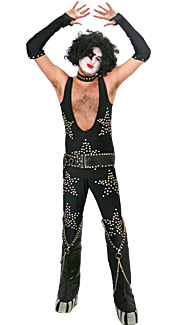 A spandex jumpsuit with accessories. 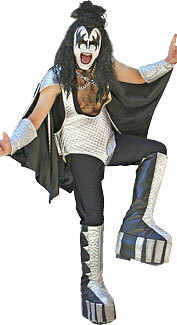 The Catman! 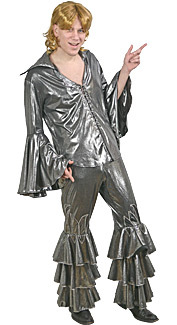 A spandex jumpsuit with accessories. 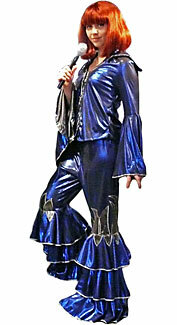 A disco-style costume with a silver and blue outfit. 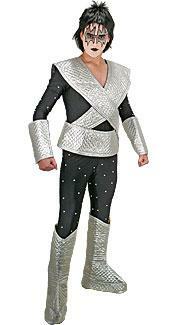 A disco-style costume with a silver outfit. 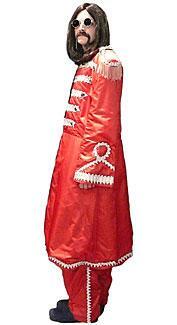 1960's-style bright red musician costume. 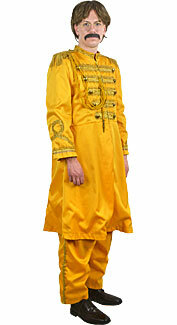 1960's-style bright yellow musician costume. 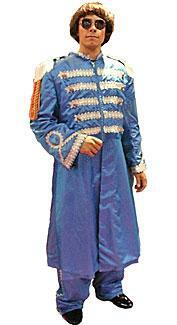 1960's-style bright blue musician costume.